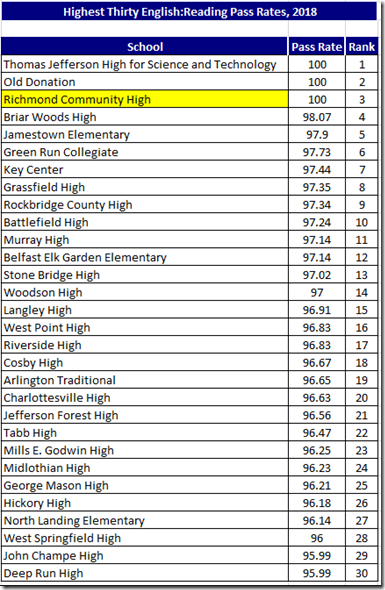 Here are the thirty schools with the highest average 2018 pass rates in each of the five subject areas, along with the highest average of the five pass rates. 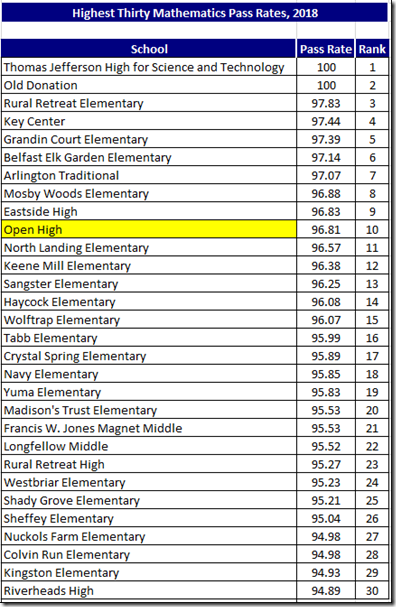 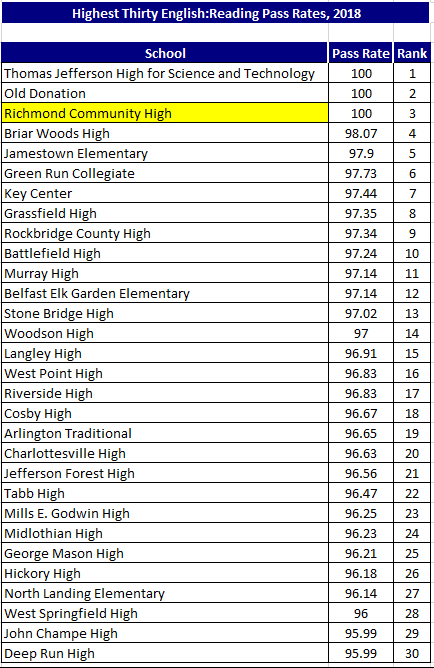 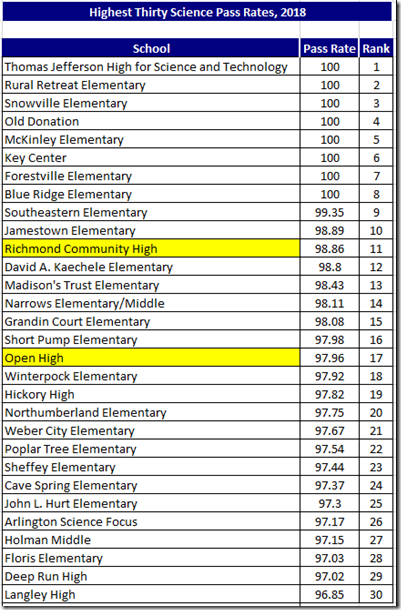 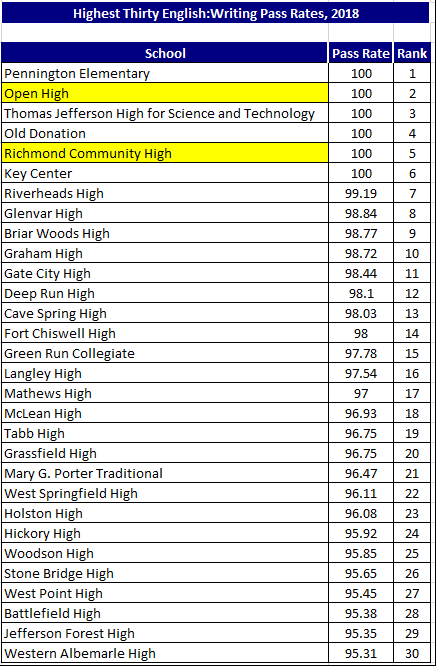 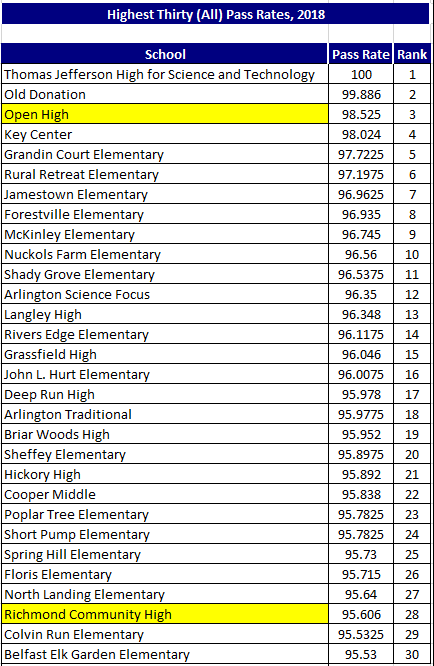 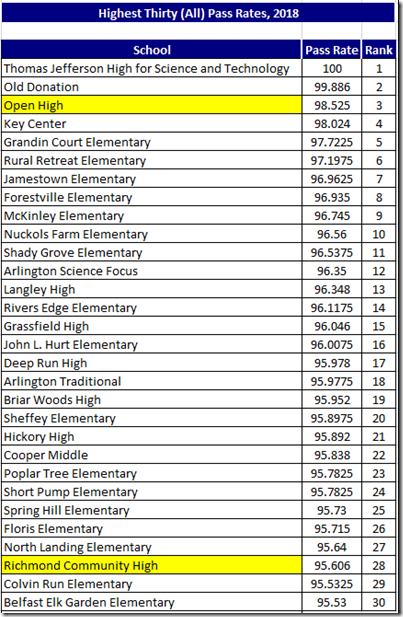 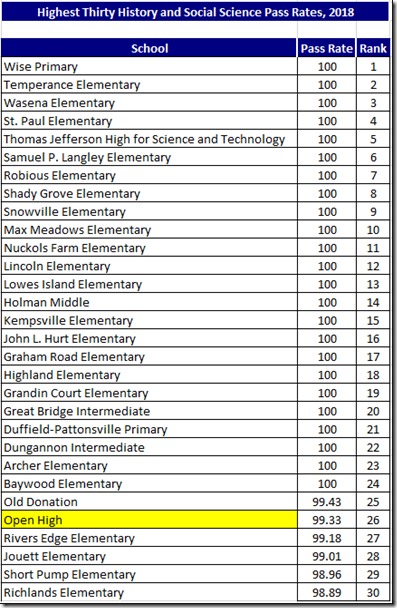 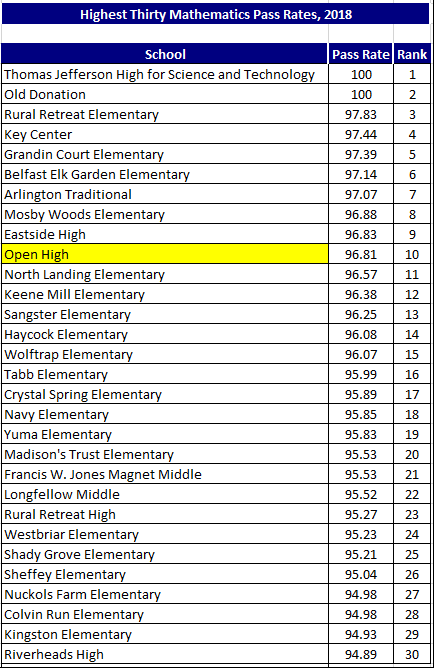 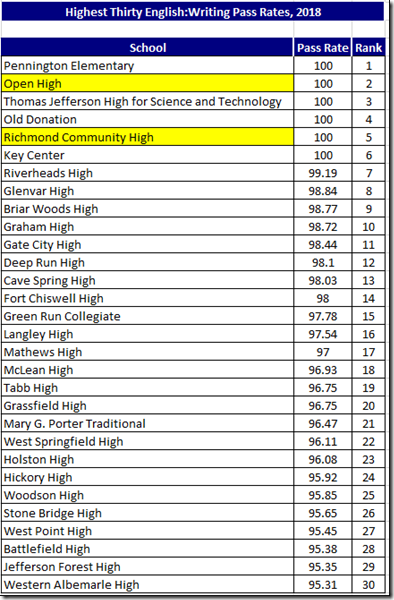 Richmond schools are highlighted. 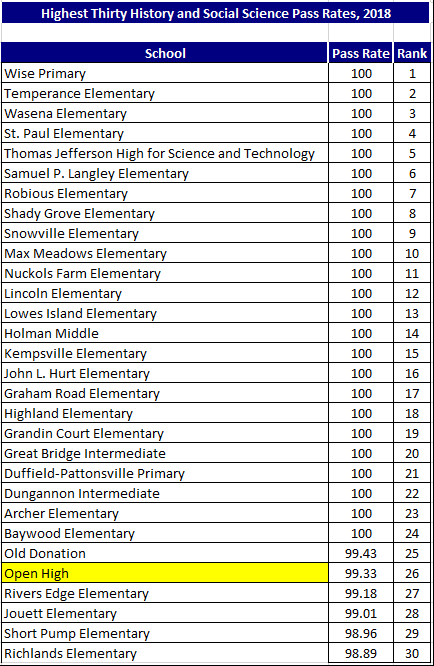 Note: Maggie Walker would surely be near the top of all these lists except that the Board of “Education” says Walker is a “program,” not a “school.” That is their way of giving the Walker students’ scores to high schools that those students do not attend in the students home neighborhoods. 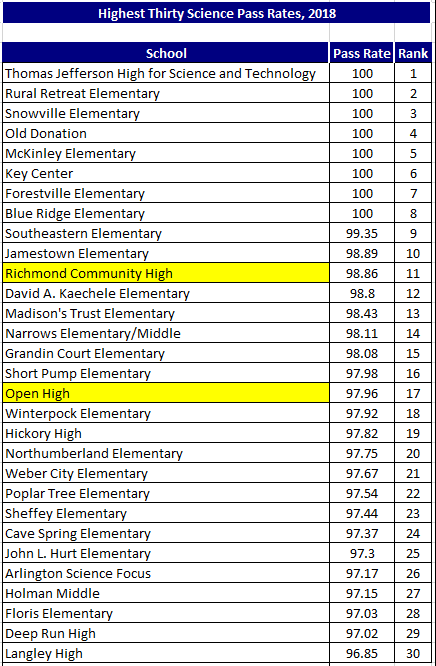 Unfortunately, this is just a small example of VBOE mendacity.